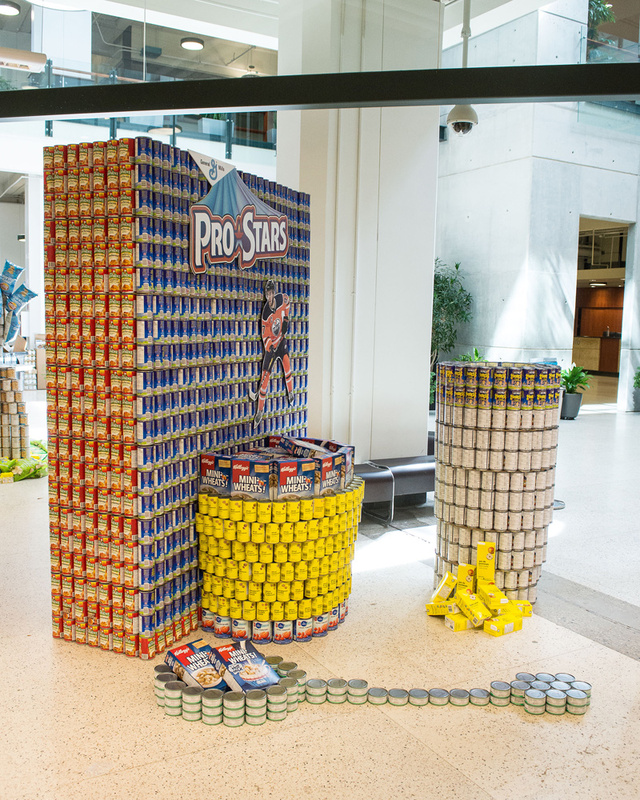 We are CANstructing a balanced breakfast in a table setting format. 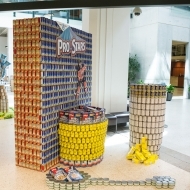 It is all CANstructed from CANS and packaged foods from all major food groups. 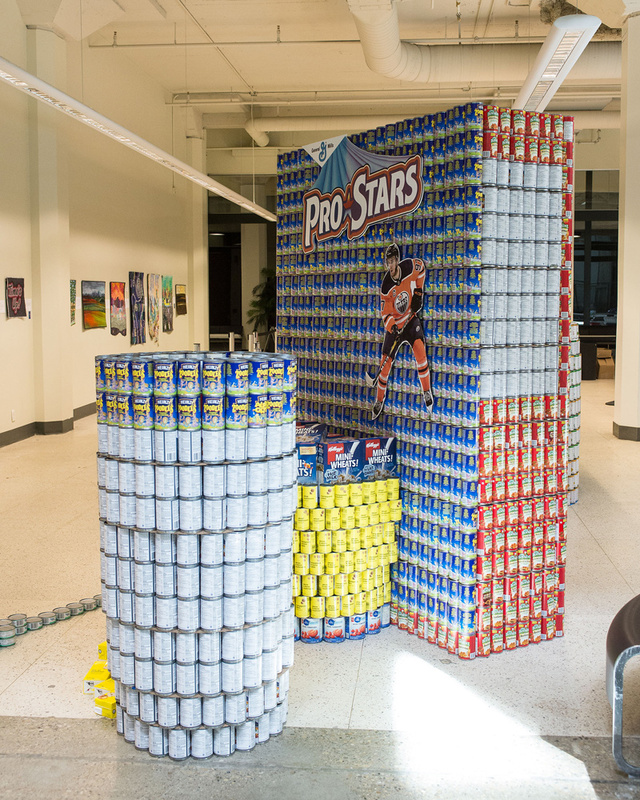 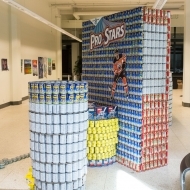 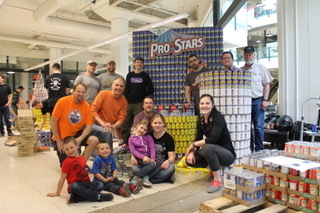 Our CAN sculpture entails a table setting made up of stacked CANS including a “Prostars” cereal box featuring a Connor McDavid #97 jersey with a 3-D cereal bowl emerging from the cereal box. 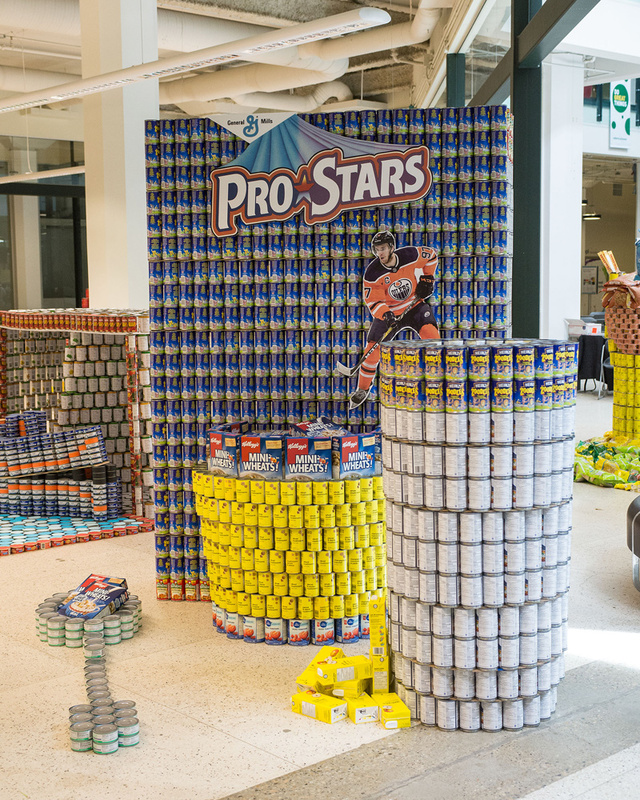 Inside the cereal bowl, packaged cereal will fill it. 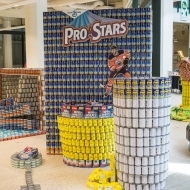 spoon will compete the table setting to make the Breakfast of CANpions. 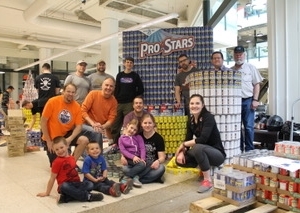 Icon Industrial Contractors, ACI Architects Inc., Delnor Construction Ltd.